In the Philippines, barangays (villages) are the smallest political units of the country’s decentralized political system. But when entering the barangay Diwalwal of the municipality of Monkayo, in Mindanao’s province of Compostela Valley, this seems hard to believe. Despite the grueling and terrifying journey on rocky and steep dirt roads that it takes to get here, there are more than 50,000 people living in the so-called settlement area of Mt. Diwata, popularized as “Diwalwal”. The gold mining site Mt. 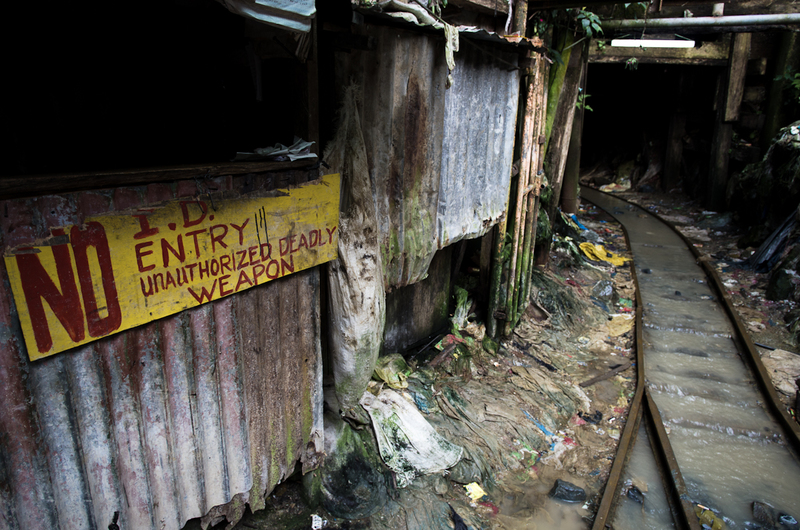 Diwalwal in the Philippines is notorious for its violent competition between tunnel owners which claimed many lives, especially in the 1980s and 1990s. 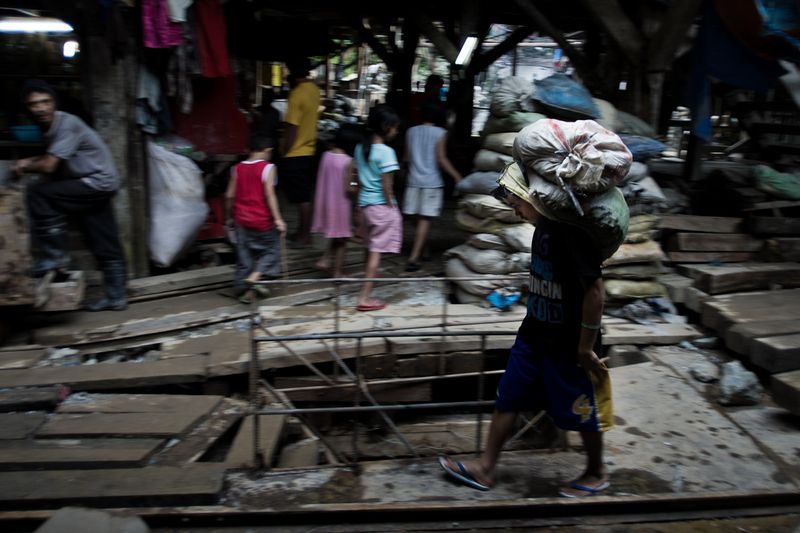 Since the big tunnel owners monopolized the gold trade and pushed many small-scale miners out of their businesses, violence and shootings have become more rare in Diwalwal. There is a single reason for tens of thousands of people to squeeze themselves, their families and their modest belongings along the landslide-prone slopes of this remote mountain area. It is the gold rush that broke out here after the precious metal was discovered by indigenous peoples in the mountain’s rivers in the 1980s. Since then, Diwalwal has never been the same again. Even though its population is declining due to lower yields, there are still about 50,000 people living in Diwalwal, a barangay (village) of Monkayo in Compostala Valley (Mindanao) in the southern Philippines. The steep slopes of the settlement area are highly prone to landslides. Its roads, which would be considered impassable not only by Western, but also by most Filipinos’ standards, are clattered with rubbish, waste, and excrements being washed away by the ever-running water. Water is used to process the stones extracted from Diwalwal’s numerous gold mines, and since Diwalwal is only about gold, it also never runs dry. 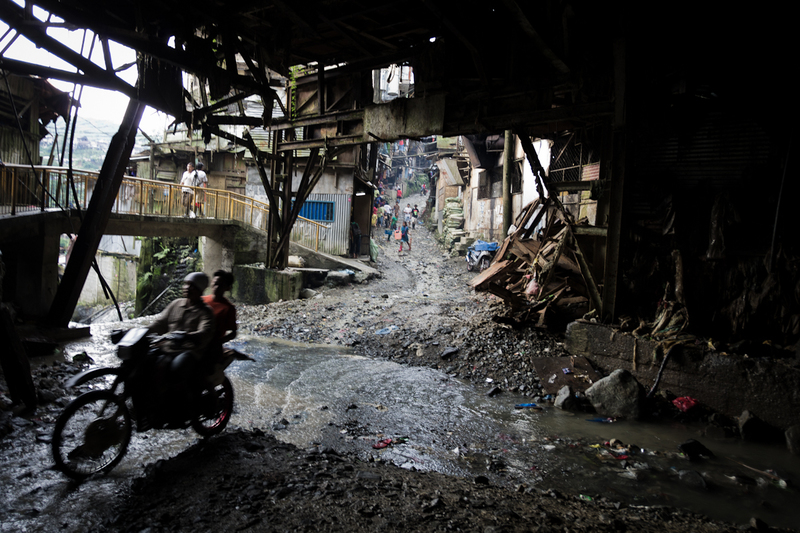 The streets of Diwalwal are populated by numerous motorcycles, which, together with the ever-running mills, produce a constant noisy disturbance. It is also never quiet – the rod mills, which are used to pulverize the extracted stones for further processing, never stop turning. They give off a sound that resembles a constant, heavy rainfall. This cacophony is enhanced by omnipresent karaoke machines and the shrieking of the motocross engines, which, incredibly, manage to traverse the village roads with reasonable efficiency. Even though the mining operations are by now mechanized to some extent, they rely primarily on physical labor. In the local dialect, Diwalwal connotes a tongue hanging out of your mouth from exhaustion, and was quickly adapted as a nickname for Mt. Diwata. When visiting the mining sites, the meaning of this nickname quickly becomes very clear. Despite being mechanized to some extent nowadays, gold mining remains an inherently physical business. 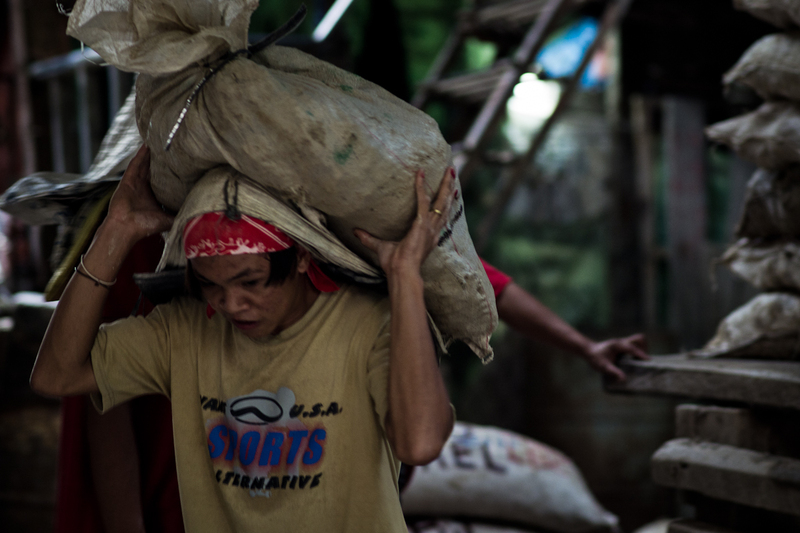 The sacks with raw stones extracted from the mines are being carried by porters, often minors. Miners – called abanteros – chip away at the raw stones in the tunnels, which are only lit by basic flashlights and headlamps. Outside, the rocks that have potential for gold processing are put in huge sacks, which can weigh up 80 kilograms. 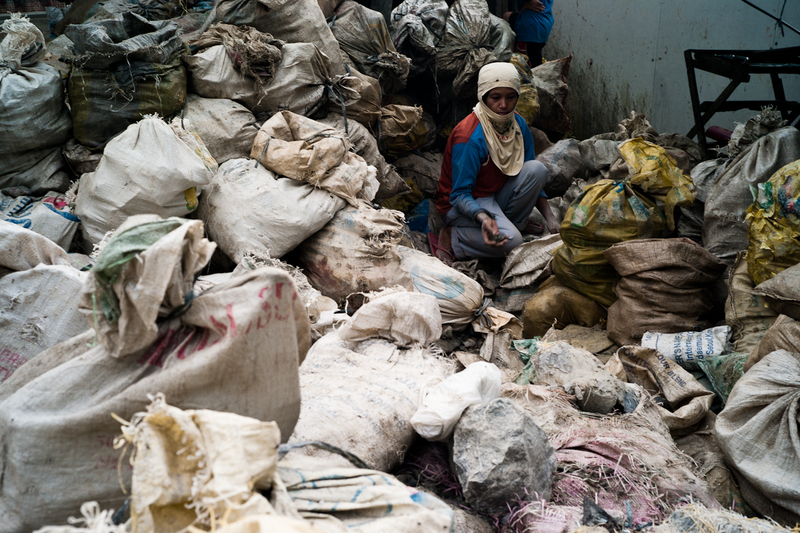 These sacks are then carried by porters to the tunnel owners’ processing plants, which may be kilometers away. A young man carrying a sack full of stones from a tunnel in Diwalwal. Depending on their size, they can weigh 50-80 kilograms. Carbon, cyanide and mercury – highly regulated substances – are used to process the stones, with the chemical waste generated in the process being dumped somewhere in the vicinity. From 20 tons of stones, a tunnel operator extracts an average of 300 to 400 grams of gold – his workers are only paid by a share in the profit, which may be enormous or nil. 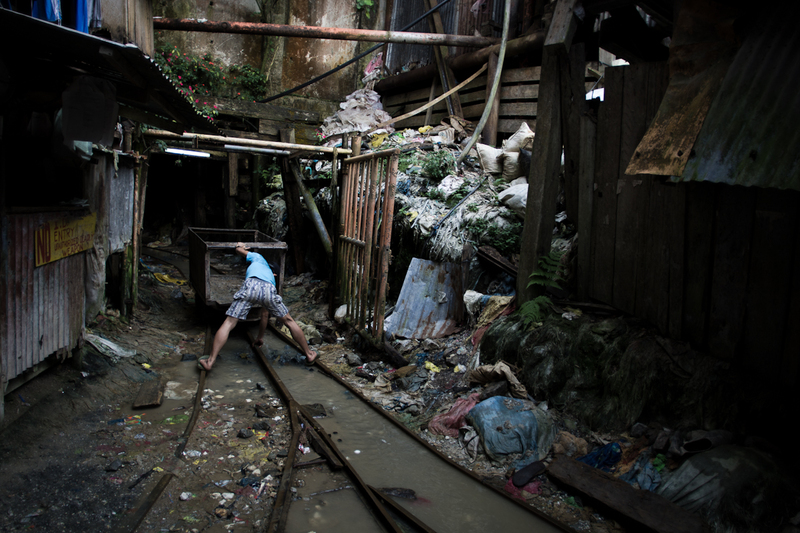 Waste pool behind a gold processing plant in Maragusan, Compostela Valley. 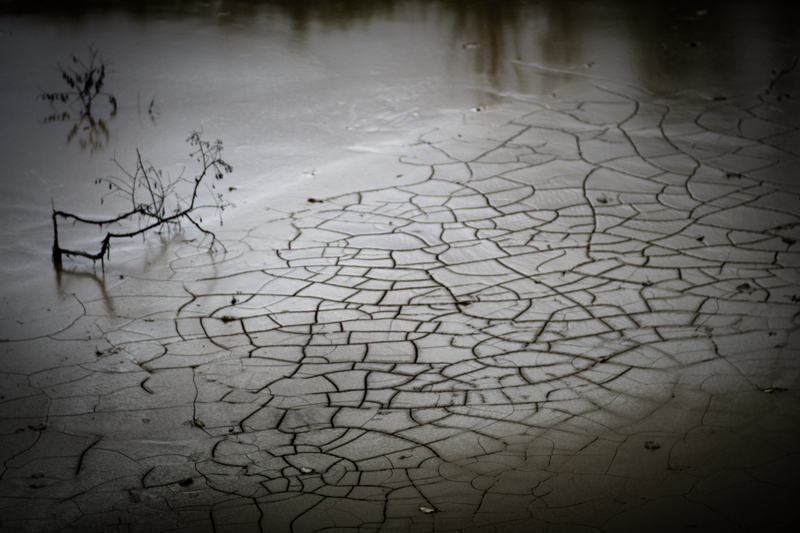 There is little awareness for the environmental and health consequences of the chemicals being used. 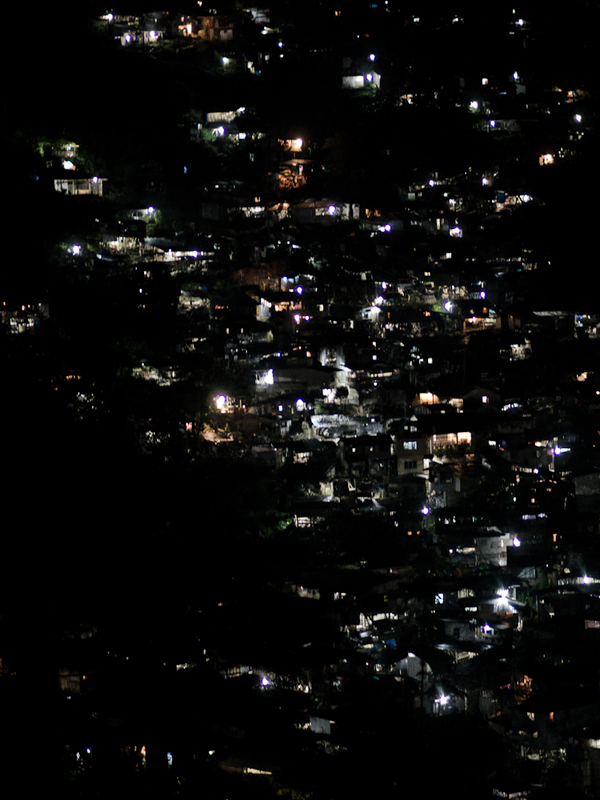 Diwalwal has a reputation as a dangerous and violent place, and to some extent, it seems quite content with this ascription. 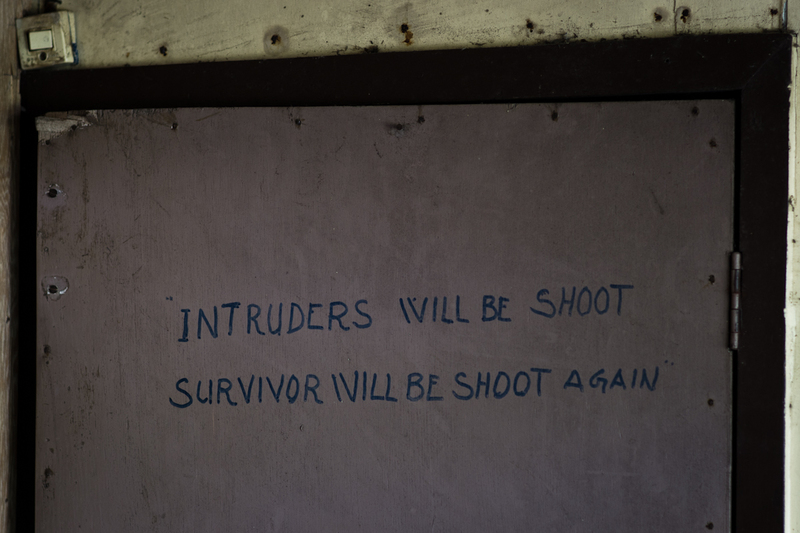 “Intruders will be shoot. Survivors will be shoot again (sic)” reads a room door in the settlement’s only lodging house. At a village party to celebrate the 21st founding anniversary of the barangay, a huge slogan reads “Only the brave survived”. Women are frequently employed to prepare the sacks full of raw rocks that are later carried to processing plants. In the bad old days of Diwalwal’s founding years, random shootings with high-powered guns, deathly arson against competitors’ tunnels and violent bar brawls cost the lives of many people. But since the big tunnel operators have monopolized the business, levels of violence have gone down. Yet, this is not to mean that Diwalwal is a stranger to death and violence these days. “Life is cheap in mining”, says Joe (not his real name), a local government-employee-turned-miner. Killings of competing miners or tunnel operators can be contracted for as little as 5,000 pesos (slightly more than 100 USD). 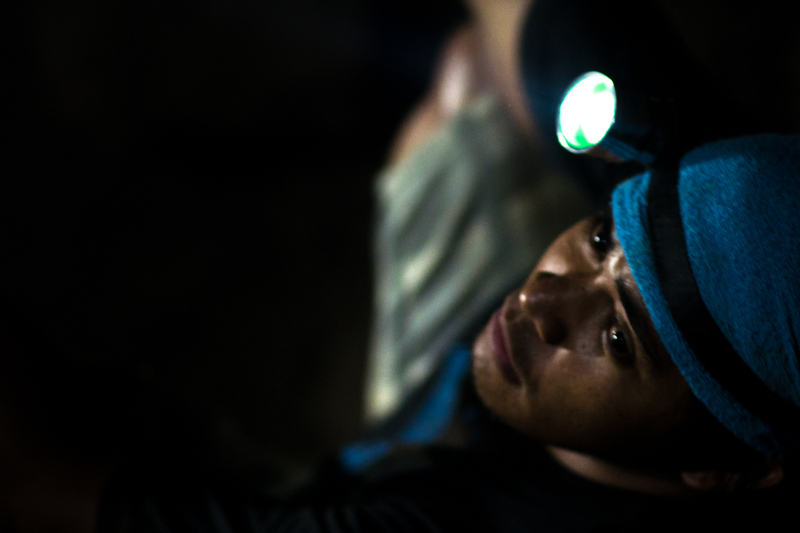 Miner in front of a tunnel in Diwalwal, Philippines. Besides the targeted killings, gold mining is a highly militarized business on its own. “ You need to have guns”, Joe says, in order to even find workers for your tunnels. The reason is that once a tunnel yields high rates of gold, competing tunnel owners will start to blast their way into this tunnel with dynamite in order to also benefit from the precious find. Once the tunnels meet, firepower decides who will prevail. Accidents in the mines due to cave-ins are still frequent and make working in the mines perilous. These days, the gold rush in Compostela Valley is on the move again. 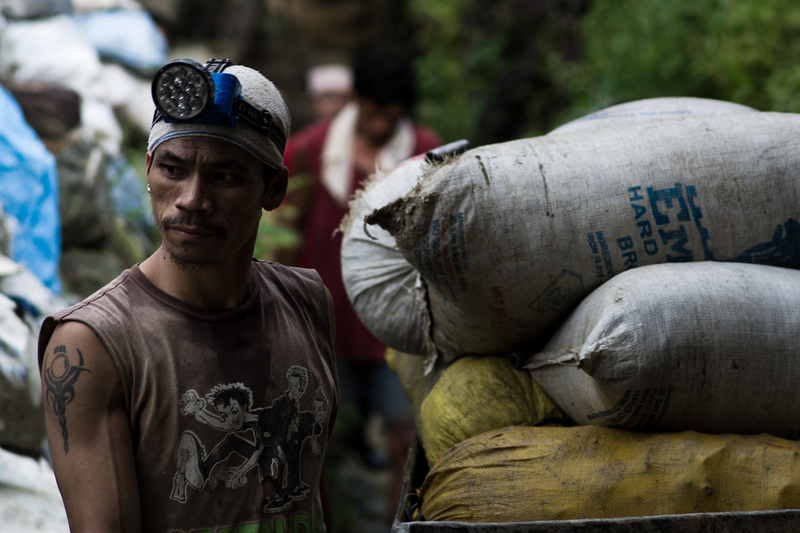 Since gold was discovered in the neighboring municipality of Maragusan in 2008, many miners and tunnel operators have shifted their operations there. Locals in Maragusan are afraid that the new neighbors will also bring their “bad ways” over from Diwalwal, including violence, overpopulation and prostitution. Room door at a lodging house in Diwalwal, Compostela Valley, Mindanao (Philippines). Diwalwal is notorious for its violent competition between tunnel owners which claimed many lives, especially in the 1980s and 1990s. At the same time, the constellation of actors and interests in Maragusan is even more complex than it is in Diwalwal. Not only has the New People’s Army (NPA), the communist insurgency, a strong presence here. The mountain valley is also home to a 6,000 hectares banana plantation by Dole and it is the refuge for many former contract killers of the infamous “Davao Death Squad”, which was allegedly used by Davao’s previous mayor Rodrigo Duterte to “clean up” his city through extrajudicial killings. In the bigger processing plants, carbon (pictured) and cyanide are used to process the gold. All this boils down to a highly explosive mix of actors and issues, which has a high potential to escalate if the current balance should get disturbed. Law enforcement by the Philippine state is virtually absent here, which is unlikely to change any time soon. Keeping the peace depends on the ability of private and non-governmental actors to commit to some, albeit fragile, sense of social order. 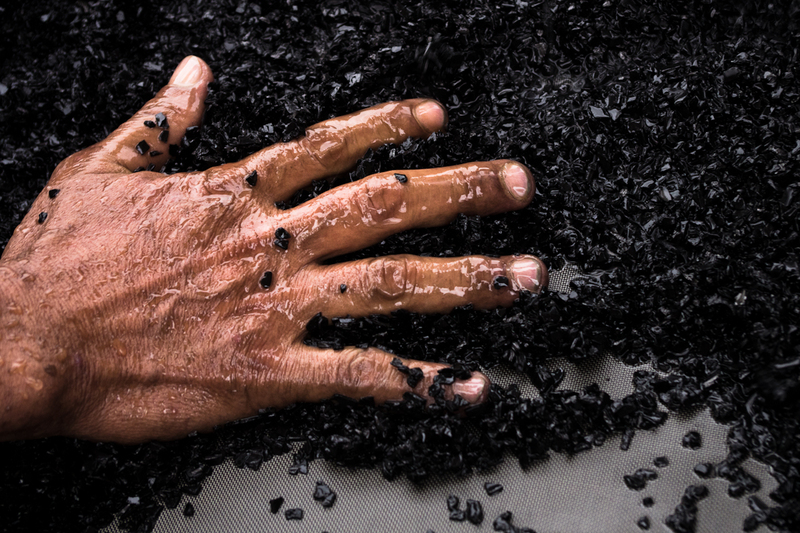 From about 20 kilograms of stones, this worker extracted about 600 miligrams of mercurized gold. Awesome first story! Even more Awesome pictures! Keep them coming! Nice feature! Great pictures. This will be an interesting read for my colleagues.